We are excited to partner with the American Red Cross for a blood drive at Lennox Middle School. The Lennox Middle School ASB students are leading the blood drive. We'll be working together to give back to the community in a truly life-changing way since each donation can save up to three lives. Most donations take about an hour. 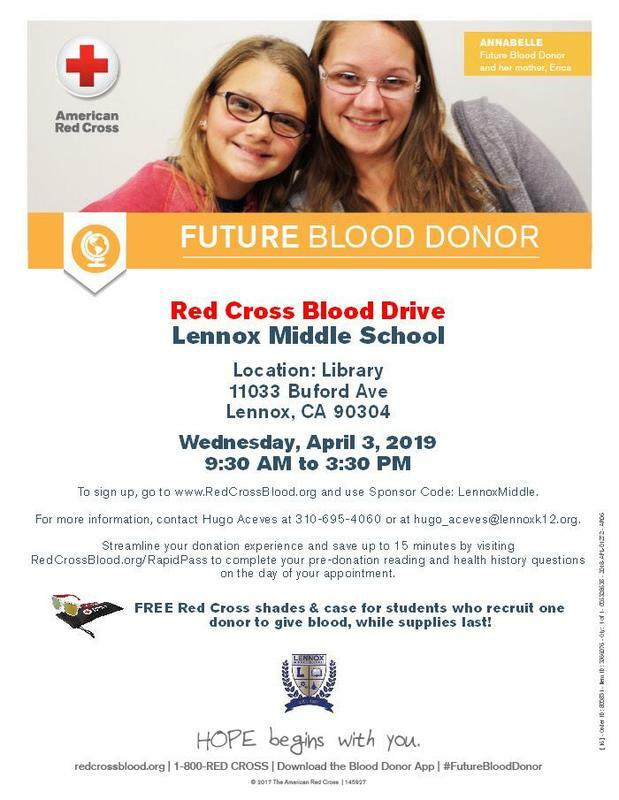 So, book your appointment, roll up your sleeve and become part of the lifesaving mission of the Red Cross and Lennox School District! Let's make an impact again this year!